Easy enough for children, challenging for adults! 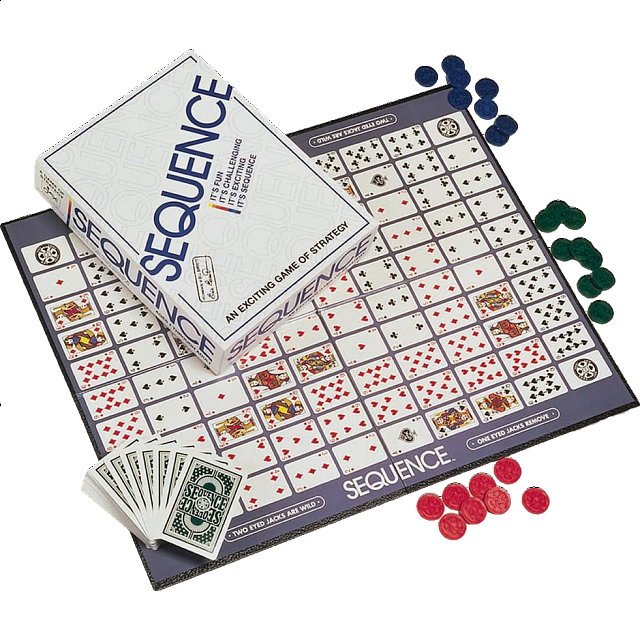 For fun and excitement with friends and family, play SEQUENCE™! Play a card from your hand, place a chip on a corresponding space on the game board... when you have five in a row, it's SEQUENCE™. Learn to block your opponents - remove their chips. Watch out for the Jacks - they're wild! With a little strategy and a little luck - you're a winner!